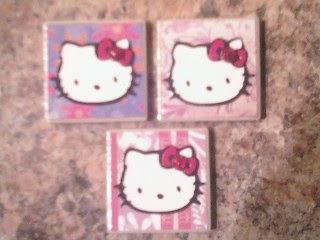 Hello Kitty coaster and magnets! 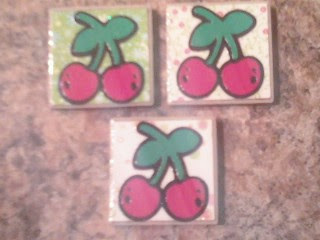 I used the tissue paper method for the coaster and the cricut for the magnets. Pictures don't do these justice. I've been using the camera on my phone. 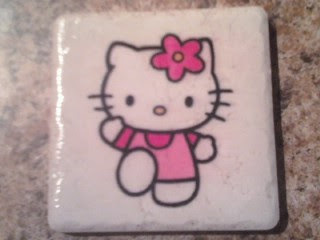 You can't tell in the pic but the middle of hello kitty bow is a gem stickled. Those HK ones are just too cute, great job!